Director of Development – Giving Tree Associates, Inc. Founded in 1924, Spertus Institute is an educational nonprofit whose mission is to create dynamic learning opportunities, rooted in Jewish wisdom and culture, that enable personal growth and the development of future community leaders. An icon in Chicago and the Jewish community, Spertus Institute has evolved from a college of Jewish studies to an applied adult Jewish learning institute and center for Jewish leadership training. Spertus Institute for Jewish Learning and Leadership seeks an experienced fundraising professional to help drive the Institute’s development function during an exciting period of organizational and operational growth. The Director of Development will develop and implement strategies to achieve $700,000+ in annual campaign revenue for 2019, with the goal of increasing the campaign to $1,000,000+ over the next 3 years. 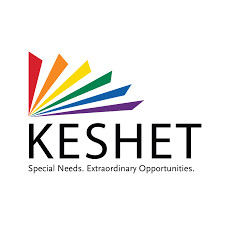 S/he will lead the development team in the identification, stewardship, cultivation and solicitation of individual donors, membership prospects, and sponsors and will assist in the identification of foundation prospects, the preparation of proposals, and reporting on grants that fund learning, leadership, and cultural programs. The Director of Development reports to the Vice President of External Relations and works closely with the Marketing and Communications team. Salary commensurate with experience. Competitive benefits package available. Please send resume, cover letter and salary expectations to laura@givingtreeassociates.com. Minimum of 5-7 years of professional fundraising experience. Candidates with integrated annual campaign and/or major gifts experience preferred. Knowledge of, and established relationships within, the Chicago-area Jewish community. Outstanding interpersonal skills and demonstrated ability to build trust and rapport with stakeholders and volunteers. Excellent written and verbal communication skills, with proven ability to write and speak persuasively. Strong track record of annual campaign growth, organizational development, analytical and strategic thinking. Ability to effectively and proactively multi-task, meet deadlines, and deliver results. Demonstrated ability to work as part of a team and supervise administrative staff members. Strong professional presence; ability to represent Spertus at community events and programs. Develop a strategic fundraising plan and timeline, identifying key tools and resources necessary to ensure a successful annual campaign. Manage an initial portfolio of approximately 1,000 donors and members, including the identification, qualification, cultivation, solicitation and stewardship of gifts under $5,000. Assist in the development of an individual major gifts program, including recognition opportunities, cultivation and stewardship events. Cultivate relationships with prospects and existing donors, including the development and implementation of donor stewardship tools, programs and special events. Mine and evaluate data to identify viable markets for new donor acquisition. In partnership with marketing team colleagues, develop print, electronic, and social media content to support fundraising activities. Research, plan and implement practices to engage with Spertus alumni and convert them to donors/members. Manage, track, and report on the campaign budget. Identify corporate and foundation prospects, prepare proposals and report on grants in concert with VP of External Relations. Work in coordination with the administrative team to manage information in Raiser’s Edge and ensure accurate data entry, gift processing, record-keeping, reporting and donor acknowledgements.